BlackBerry 9630 Niagara Reviewed | BlackBerry Blast! 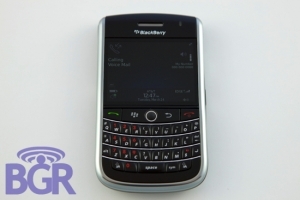 We're all waiting for the BlackBerry 9630 Niagara to get here, but BGR already has it. They've published a review of the 9630 and it's looking pretty good. BGR says it's built well and will be able to take a beating. They're convinced Verizon will get this one first, but rumor has it Sprint will follow. Check out the review at the source link below. It's a great read.